The South Carolina Department of Natural Resources (SCDNR) is hosting a public meeting to solicit input on the proposed management plan for Wateree River Heritage Preserve Wildlife Management Area in Richland County. The meeting will take place from 6 p.m. to 9 p.m. on July 14 at the Crossroads Community Center located at 2750 McCord’s Ferry Rd., Eastover, S.C., 29044. The Wateree River Heritage Preserve Wildlife Management Area (WRHP) was acquired by SCDNR as partial mitigation for the Haile Gold Mine project in Lancaster County. 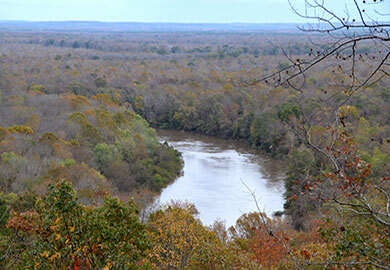 WRHP is a 3,677-acre tract of land located 17 miles east of Columbia on Highway 378 near the Eastover community. The property is bordered by the Wateree River and is located on the Richland/Sumter County line, with all of the land area in Richland County. The proposed management plan for the Wateree River Heritage Preserve Wildlife Management Area can be found on the SCDNR website. All comments and suggestions will be recorded at the meeting. Comments gathered at the meeting will be combined with written comments received by SCDNR and used to guide the revision of the management plan. Upon revision, the management plan, along with comments and responses, will be published on the SCDNR website. If you have any additional questions, please contact Regional Wildlife Coordinator Willie Simmons at SimmonsW@dnr.sc.gov.